As of May 25, 2018, the new General Data Protection Regulation will apply in accordance with the provisions of the Regulation ( EU) 2016/679 of the European Parliament and of the Council - General Regulation on Data Protection (GRDP) - and other relevant national legislation on data privacy and data protection. It is this policy that sets forth the terms on which St. John's School handles both clients and suppliers data personal data. 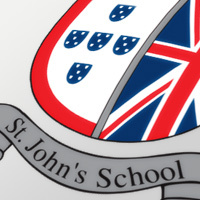 For more information, consult our Privacy and Data Protection Policy available on the site or contact us via email: info@stjohns-school.com.